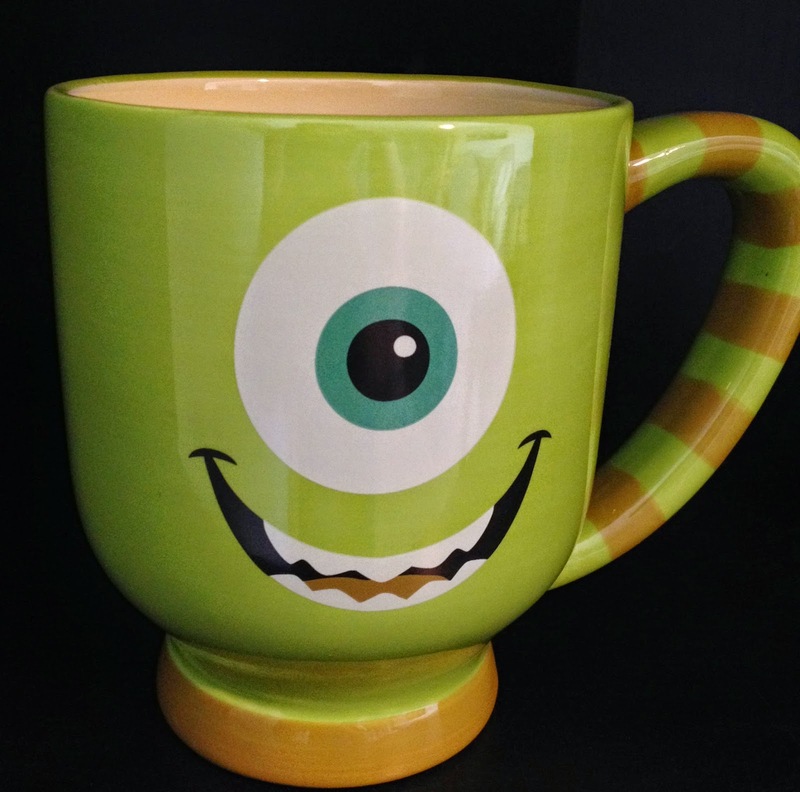 Here we have the Disney Parks Authentic/Exclusive Monsters Inc. Mike Wazowski mug! This is a 20 oz. 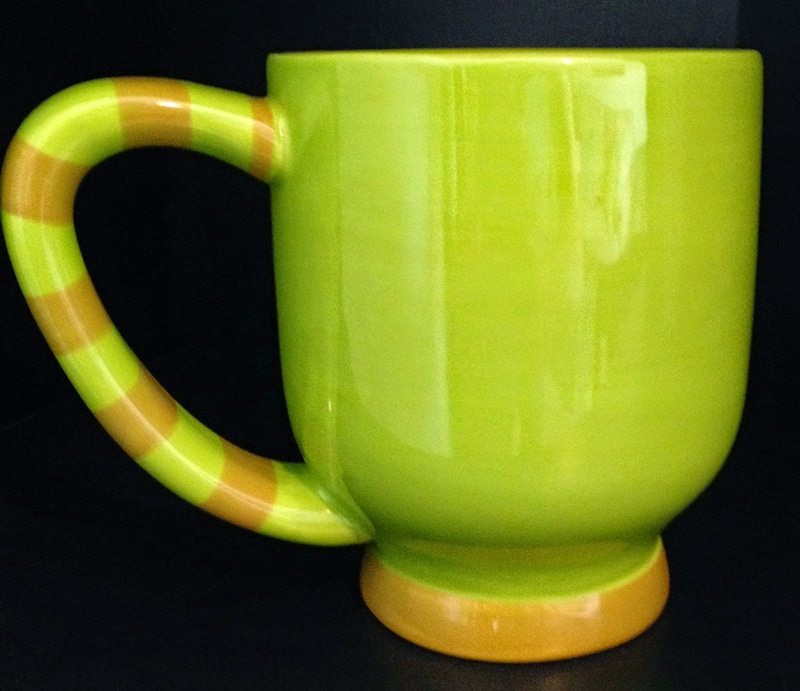 ceramic mug and is not dishwasher or microwave safe. While I was in Disney World last month, these things were just about everywhere. Every time I would see them I thought, ok this definitely needs to be displayed on my shelf. 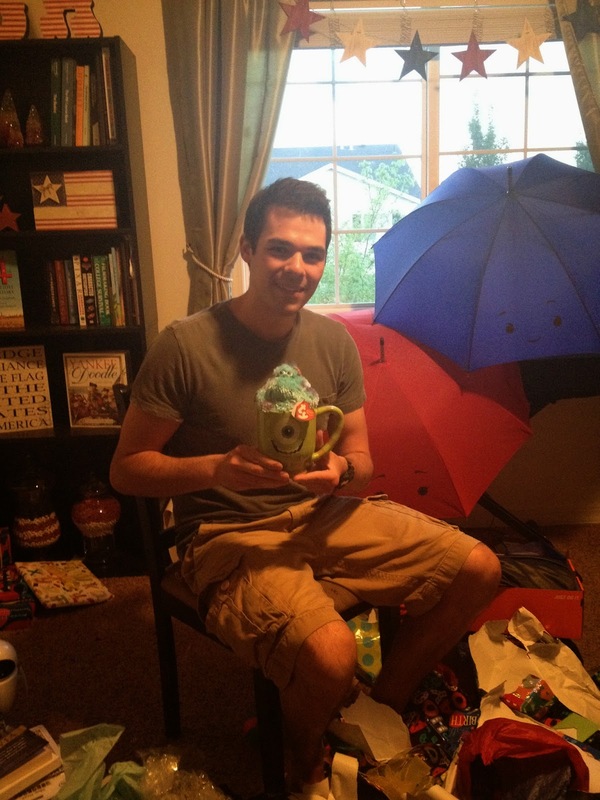 Luckily, my awesome wife Brita saw that I really liked it, so she hooked me up for my birthday! 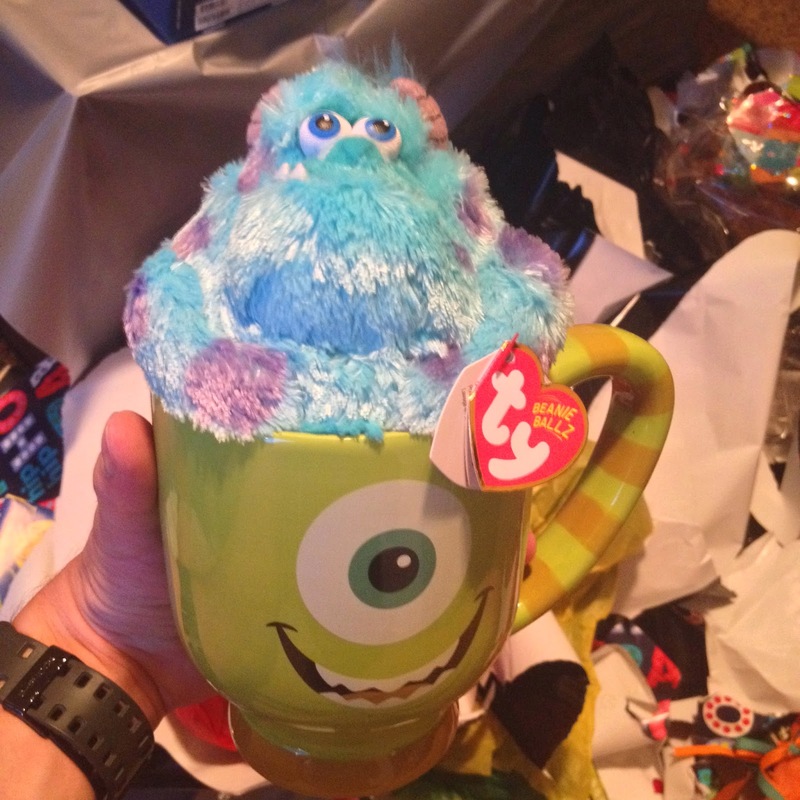 At my birthday party, Brita found found a pretty dang cute way to package the gift with the TY Beanie Baby Sulley peeking out. Awww we love this mug! I'm glad you showed the party pics too. I didn't realize the mug wasn't microwave or dishwasher safe. I'm surprised by that, but maybe Disney is thinking this item is more for display than drinking out of?